Does your website have lots of traffic but not many people actually buying? In this post I’m going to show you how to fix this common problem. Conversion optimisation is one of the most overlooked disciplines in online marketing. Everyone tends to focus on the need to drive traffic to their website but not nearly enough emphasis is placed in what you do with that traffic once it reaches the site. This is important because simply getting visitors to your website doesn’t generate any revenue for you. It is only the visitors who complete the checkout process and buy from you who generate revenue, and in some cases that can be as low as 2 or 3% of your website visitors. Let’s consider two almost identical websites. They have the same daily traffic flow, but one website converts at 2% while the other converts at 3%. A 1% difference in conversion rate may not appear significant but if your website receives 10,000 visits in a month a 3% conversion rate means 300 sales, while a 2% conversion rate will produce only 200 sales. 100 extra sales without the need to do any extra work promoting your website, or driving extra traffic through expensive PPC or Facebook adverts. What changes does conversion optimisation involve? Implementing a conversion optimisation program isn’t necessarily about making big changes to your website. It is more usually about seeing how making small incremental changes over a period of time can produce big results. It might be something as simple as changing a graphic or just one single line of text that could increase your conversion rate and lead to you making millions of pounds more in revenue over the next few years. The one aspect that is central to conversion optimisation is testing. This isn’t a one-off process. You need to make changes, and test it to see the impact that it has on your conversion rate. If it increases your conversion rate then you keep the change or refine it further to push the conversion rate higher. There are lots of different factors that can have an impact on the conversion rate. In this article we are going to see how you can maintain the flow of visitors from your search listings or PPC/Facebook adverts and keep your visitors interested and engaged all the way through to the end of the checkout process. You can’t just focus on one aspect of your marketing in isolation. You must learn to see everything as part of a single customer experience. Your customer is on a journey with you from that first click on your advert until they have completed their purchase. Your job is to remove all the roadblocks and stop them getting off the bus and completing the journey without purchasing. If you are going to do that properly then you must identify the expectations of your various groups of customers, and find out what they want from you, and how you can help them to fulfil their goals. The classic example of a company, which is very good at doing this, is Amazon.com. There are two rules that Amazon applies that have put them in the top tier of online retailers. Amazon work hard to understand their customers and to see the buying experience from their perspective. They use all the data they have at their disposal to see exactly how customers act at every point of the buying journey, what stops them buying, and what motivates them to continue. Using the information they gained from analysing their website Amazon continue to optimise every stage of the process. For them optimisation is a matter of testing every page, every process, every graphic to ensure it achieves the highest possible conversion rate. When a visitor first encounters your website you have no way of knowing how much they know about your business or what you can offer them, you need to give these people a reason to buy from you. You must establish your Unique Value Proposition as quickly as possible. It should be highly visible on your landing page, and identifiable on every page of your website. You have no way of knowing by which page a visitor will enter your website so try to reinforce your offer site-wide, all the way to the end of the check-out process. The most effective way to achieve this goal is to apply Robert Cialdini’s six principles of persuasion. He first set out these principles in the 1980s and since then they have become established as the standard for encouraging sales. Cialdini identified six principles that we can use to drive up conversion rates. Scarcity – This principle has been a standard advertising ploy for decades. “Final few left”, “Time limited offer”, “Final clearance”. Even if your product is precisely what your visitor needs they may need a push to make the jump and buy now, rather than waiting. Pushing people to decide right now instead of waiting will always boost your conversion rate. Consistency – Everyone likes their actions to be seen as consistent. This is why marketers normally get potential customers to commit to something small, maybe downloading a free gift or entering their email address on a form. Once they have already committed in a small way to your company there is an increased likelihood move on from that first small step to make further purchases and hopefully become a regular customer. Reciprocation – When someone gets something from you, they very often feel obliged to return the favour. If you provide them with some benefit, perhaps a free gift, or some useful information that they can use to take action, then they will feel an attachment to your business and it is more probable that they will go on to become customers. Social Proof – Whether we like to admit it or not the opinion of other people matters to us. Review sites, such as Trip Advisor use this principle as an integral part of their business model. Both Amazon and Ebay also make great use of customer reviews. Good reviews on these sites can make the difference between success and failure. 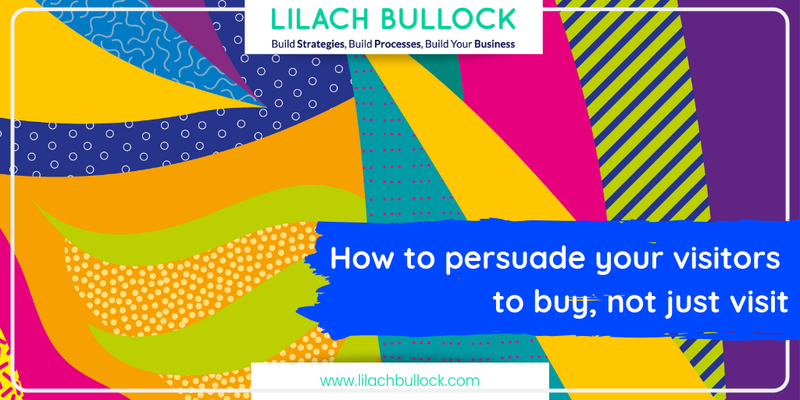 You can apply this principle to conversion optimisation by persuading your readers that everyone else is buying your product and finding it valuable. Authority – People respond to the power of authority, this is why celebrity endorsements are good business. If you can find a celebrity connection to your brand somewhere then don’t be shy to advertise it. If you can’t find a celebrity, then adding some professional gravitas with Dr this or Professor that can add an air of authority to your claims and give potential buyers more confidence. Liking – The idea is behind liking is simple enough. The more people like you, the more likely they are to buy from you. In the bricks and mortar world it can be fairly easy to create a personal connection, but in the online world it is not always so straightforward. One of the most effective ways can be through a well thought through ‘About Us’ page. By connecting with your visitors on a human level you increase the chances of them buying from you. Following these principles will lead to increasing a conversion rate and increased sales, but how should you apply these principles in practice? What practical steps can you take to create landing pages that convert into sales? Online marketing may still be a fairly new concept, but marketing has been around for hundreds of years and the principles of persuading people to buy have been well understood. They have often been described as AIDA. Attention – First you need to get your readers attention. Unless you can get them to notice you, and pay attention to what you are saying then everything else you do is going to be a waste of time. Interest – Once you have their attention you need to get your reader interested in what you are saying. There has to be a reason for them to keep on listening. You must explain to them how what you are saying can benefit them. Desire – After interest comes Desire. Make them want what you are selling. Explain to your readers how your product or service can improve their lives. Action – Motivate your readers to take action. Tell them exactly why they should complete the purchase right now. Answer all of their questions, calm any anxieties or concerns that they may have and give them all the help you can to get them to make that purchase. For online sales, a more recent addition to the list is Satisfaction. Marketers used to have to wait for interaction with their customers to find out how satisfied they were with their purchases. Today, with more businesses moving online, there are more ways to connect with customers and more ways for customers to make their feelings known. The reaction to a sale can be almost instant. If we want customers to be satisfied with their purchases, and to become loyal, long-time customers then we must make sure that their purchase fully meets their expectations. Each of these steps must be applied to every stage of the marketing process starting with your PPC/Facebook adverts and carrying on all the way through until checkout is completed. In many businesses it is common to treat the initial advert as separate to the landing page, which again is seen as separate from the rest of your website and the checkout process. This leads to a lack of consistency, and to visitors becoming confused and disoriented when they try to find what they are looking for. To successfully guide visitors through the buying process it is essential to understand the concept of Information Scent. Animals rely on scents to track their prey. In the same way humans rely on various information cues to track down what we are searching for. We estimate how much useful information we are likely to get on a given path, and after looking for information we compare the actual outcome with what we expected. When the information scent stops getting stronger, we move on to a different information source. When you review the list of search results you are looking for the one that most closely matches your expectations. When you find that result you click on it and it takes you to a landing page. How closely does that landing page reflect your expectations? Are the same words and ideas present on that page as they were in the search result or advert you first clicked on? When you click on the next link, heading towards the checkout process, what do you see there? Are you still following the scent? Matching it point-to-point, click to click? When someone clicks through from your landing page to the next page they are directed to, will they see similar words, similar graphics? Will the pages feel the same to them? You need to build a consistent customer experience that guides the customer, and keeps them engaged throughout the buying process. Keep the same graphics, the same colours, the same general layout with the same shaped buttons, and with the page elements positioned in similar locations from page to page. Don’t move things around or you will confuse your visitors. If they go to click on a button and it’s not where they expect it, or if they find that they have been taken to a different part of your website where things are laid out differently then the trail goes cold for them and suddenly the scent has gone. Building Information Scent into every aspect of your marketing is a central part of a successful conversion optimisation strategy. You must provide your visitors with the information they are seeking if you are going to turn browsers into buyers. This sounds straightforward but there can be a problem. The visitors to your website are not all identical. They don’t all come from the same place, and they don’t all want the same thing. Unless you get to know your visitors, and supply what they are looking for you aren’t going to be able to convert them into sales. Your visitors are probably a diverse group of people and you are going to have to learn how to model each of them so that you can anticipate their reactions and plan your marketing most effectively to persuade them to make a purchase. Some of them will be logically driven, while others will make decisions based on emotional cues. Some of them will be spontaneous in nature, while others will be more methodical. This matters because the way an individual makes decisions impacts not just how much of your webpage they view, but the way they consume that information. Jakob Nielsen conducted a famous eye-tracking study on the way people viewed the US Census website, and as a result of that study he came up with four basic types of visitors. These categories can be helpful in thinking about the way people view your website. To successfully market to each of these types or personas you must draw up a compelling narrative for each of them. Give each persona a detailed backstory so you can start to get to know them. Try to get inside their head and see the world from their perspective so you can plan your advertising in a way that corresponds to the needs of your audience. Once you have your stories created spend some time thinking about how you will market to each persona. What type of advert will they be most likely to click on? What are their felt needs? How will they use your product? What matters to them? What would this type of person be asking about this landing page? What would be their expectations? What would they be looking for at this point? What fears might be stopping them from purchasing? What would encourage them to complete the sale? By really embracing these personas you can develop your marketing skills, and align your adverts and landing pages more closely to the expectations of your audience. The more closely you can meet these expectations the better you can maintain the scent and the more of your visitors will stay with you, and the higher your final conversion rate will be. What other effective conversion optimisation tactics should I have included here? Let me know what works for you in the comments section. Sharing this content with others is a great way to help them grow their business too, so if you found this post helpful let others know about it. Hi Lilach! This is a very good article! Thanks for sharing. Now, trying tyo contribute as you asked, I suggest the following tactic: whenever possible, it is very helpful to offer any kind of real reward to the client who brings in new clients. Consider that it is higly likely that someone with a specific need could easily point someone else, from its circles, with the same need. But rarely it is done spontaneously. Why not give them a little push? A reward can make a indecisive consturmer take the action and, in this case, still bring in an additional client. Marketing is always a big factor for small businesses. They are so desperate to increase their conversions. I think we should definitely work and try new techniques to attract buyers. A Trust Factor is very important and you have to build a good relationship with your visitors. Nobody wants to buy stuff from a stranger and this is a big issue for newbies. Thanks for sharing these helpful tips here.